(December 16, 2013, Washington, D.C.) – Larry Klayman, founder, chairman and general counsel of Freedom Watch and also a former U.S. Justice Department prosecutor, announced today that the Honorable Richard J. Leon of the U.S. District Court for the District of Columbia has granted his motion for preliminary injunction against the federal government and the National Security Agency ("NSA"), enjoining the NSA from collecting telephone and other metadata, finding that the program violates the U.S. Constitution. "This is the most significant case in the history of any litigation against the government," Klayman added. Judge Leon issued a 68-page memorandum opinion in which he stated, "I cannot imagine a more 'indiscriminate' and 'arbitrary invasion' than this systematic and high-tech collection and retention of personal data on virtually every single citizen for purposes of querying it and analyzing it without judicial approval." Klayman was confident from the beginning that the preliminary injunction would be granted. "What we had here was the greatest violation of constitutional rights in American history. I applaud the judge for his courage, and for taking a stand against the tyranny and abuses of the other two branches of government. The judge is an American hero. Not since D.C. federal judge Royce C. Lamberth has any judge in recent years taken strong and principled action to protect the American people from the lawlessness and criminality of establishment government leaders, both Democrat and Republican, who think and act as if they are above the law. The American people have lost trust in their government and hopefully more judges will fulfill their oath of office to now step forward to check the gross abuses of the ruling establishment. 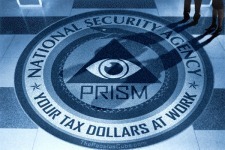 We cannot continue to live in a KGB-like police state." The case is titled Klayman v. Obama (Nos. 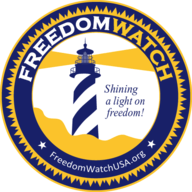 13-cv-851 & 13-cv-881), and court documents are available on Freedom Watch's website (www.freedomwatchusa.org). Klayman is prepared to take the case all the way up to the U.S. Supreme Court and looks forward to putting an end to the unconstitutional and Orwellian conduct of the government.